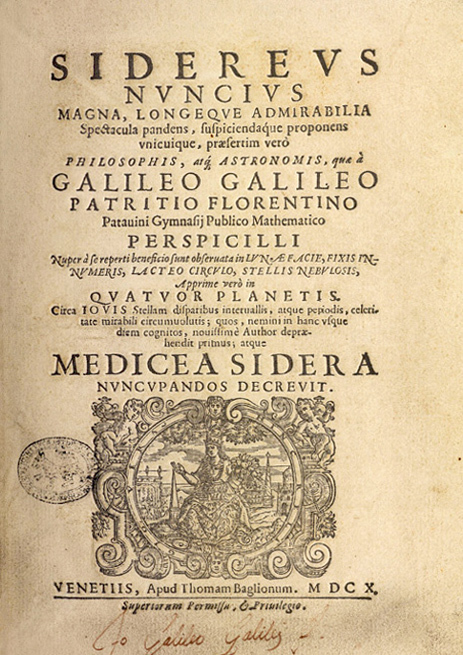 A Galileo Forgery edited by Horst Bredekamp et al. This work is available for free as an open access e-book. “Pain, self-reproach, anger, curiosity…”: scholarly reactions to being horribly, publicly duped. A Galileo Forgery is the third and the most important volume of the series Galileo’s O. 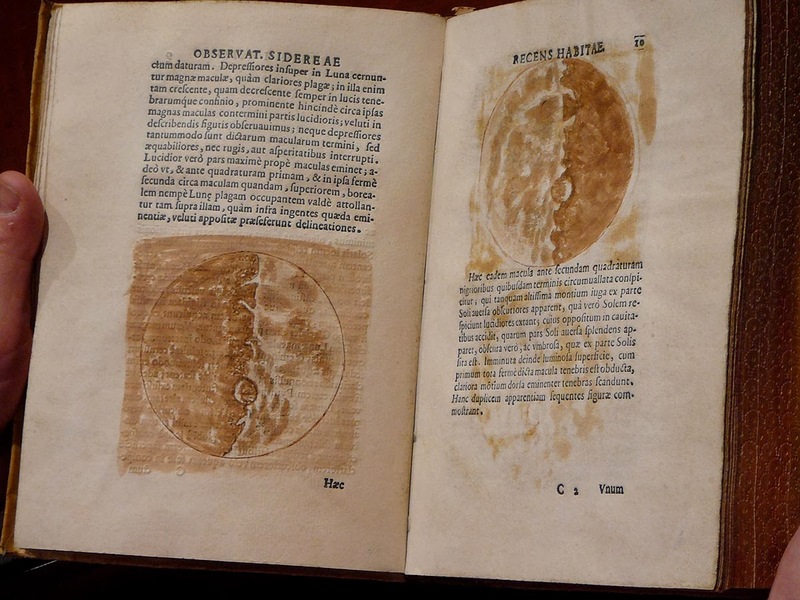 In Volume I (Galileo’s Sidereus nuncius: A comparison of the proof copy (New York) with other paradigmatic copies) and in Volume II (Galileo makes a book: the first edition of Sidereus nuncius, Venice 1610), the editors celebrate the discovery of what they believe to be the original proof copy of the famed astronomer’s Sidereus Nuncius, ‘the first published scientific work based on observations made through a telescope’… the first version off the press, corrected before further prints and containing drawings and a signature in Galileo’s own hand. By Volume III, however, the renowned experts discovered the whole thing was a fake. A Galileo Forgery, then, is their struggle to come to terms with their major mistake through science and self critique. This short book is divided, roughly, into three parts: realization, revision, and reflection. The once-convincing, now totally not-convincing Galileo forgery. The first section details what the editors consider the psychological aspect of the story which is woven into the narrative of discovering that a book that they had truly believed to be authentic was actually a forgery. They speak of the difficulty of changing strongly-held opinions and the personal and professional devastation they felt when their opinions changed. Presented as an ongoing email discussion interspersed with a mounting list of unanswerable questions, the editors build the case for their own previous failures and commit themselves to detailing exactly where they went wrong, exactly how they had been fooled. The second section of the book consists of chapters by a number of experts devoted to aspects of typesetting, paper manufacture and watermarking, binding, ink and paper composition, and so on. In each case the authors find clear evidence for forgery, admit having missed the evidence before, and detail anomalies, unknowns, and their own thinking behind previous and current determinations. In the final section, the editors consider the mindset of the forger and offer concluding thoughts. They believe, based on the particulars of the forgery’s construction, that the Galileo fake “is a projected duel with the community of specialists. 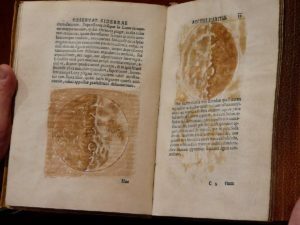 The hidden agenda of the making of the book might have been a clandestine satisfaction regarding the incapacity of specialists to detect the forgery as such”… and admit that Volumes I and II of Galileo’s O, then, gave the forger exactly what he wanted. The forgery’s title page. Note the forged Galileo signature at the bottom. The fatal flaw in the evaluation methods of all of the researchers who originally looked at the fake Sidereus nuncius, according to the editors, was assuming that the book was real and then looking for evidence of authenticity. They should have assumed that the book was a forgery and looked for evidence of that. In other words, by concentrating on confirming the reality of the book they only saw the parts that looked real and were able to come up with convincing stories to explain away any variation. They should have been looking for what they now see as ample anachronisms and impossibilities in the object. They rightly note, of course, that their analyses can only prove that a book is fake, not that it is real: the best of forgers is never detected. If you can never prove the piece is real, proving it is real shouldn’t be your methodology. I am delighted that this book has been made available for free. Denouncing a fake, correcting the record, and providing a clear path towards evaluating potential rare book forgeries is a public service that shouldn’t languish behind a paywall. Arguably nothing should languish behind a paywall, but works that correct tainted knowledge should be widely shared. 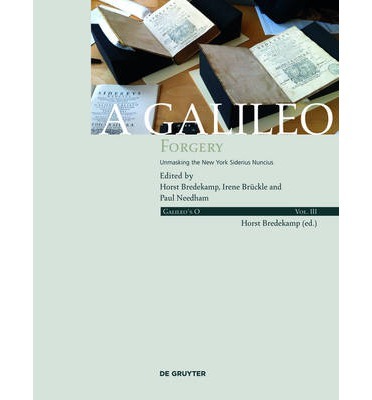 A Galileo Forgery was an engrossing read. I had been avoiding it a bit, expecting it to be dry and scientific, but in reality I was hooked by the first few words and couldn’t put it down through two long train journeys. As an academic, it reads almost like a horror story. I could feel the editor’s pain and shame at validating a fake for the whole world to see. It made my heart race in fear: could this be me one day? I also developed a deep respect for all of the scholars who agreed to publicly admit their error, drop whatever else they were doing, and re-evaluate their previous findings. It takes a great person to admit that they were wrong and a great scholar to turn wrongness into a line of valid, even important research in its own right. If you want to know more about the forger, have a look at this article in the New Yorker. If you want to know more about the forgery itself, you should certainly read A Galileo Forgery. It’s free and fascinating.